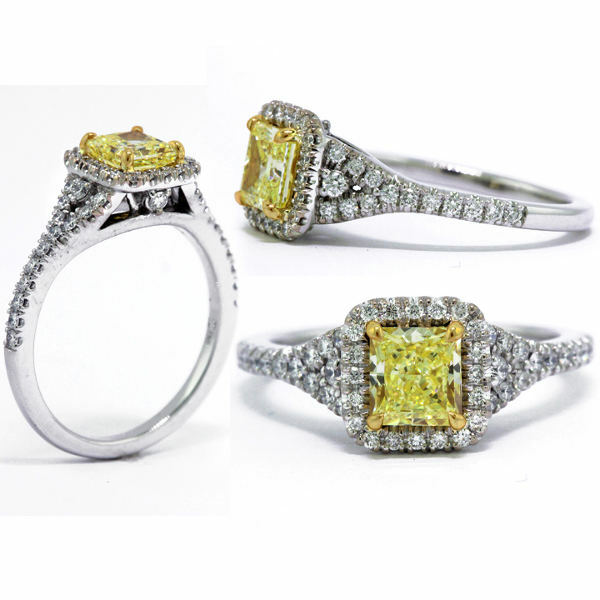 A very special halo yellow diamond engagement ring. 0.81 carat GIA certified fancy yellow diamond with vs1 clarity. The setting also features 50 white diamonds weighing an additional 0.62 carat bringing it to 1.43 carat total.